Paris is always a good idea. But what to do in a city with so much to offer? 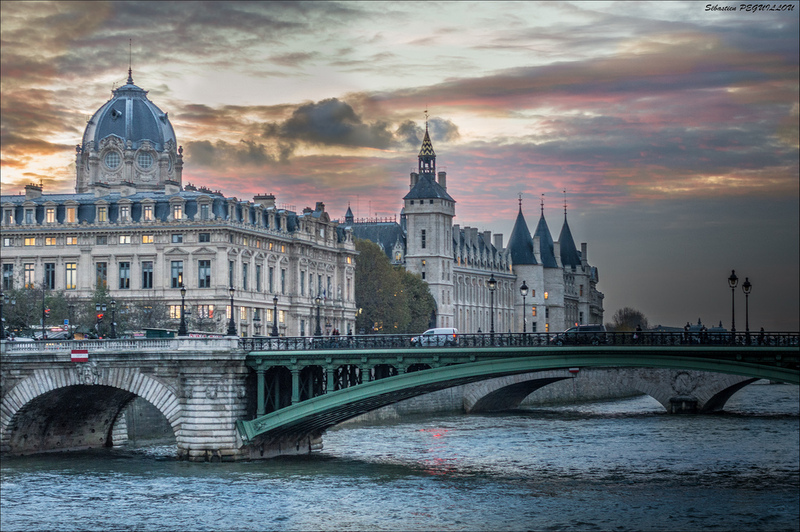 History buffs will love discovering Musée de Cluny, Les Invalides, and La Conciergerie. 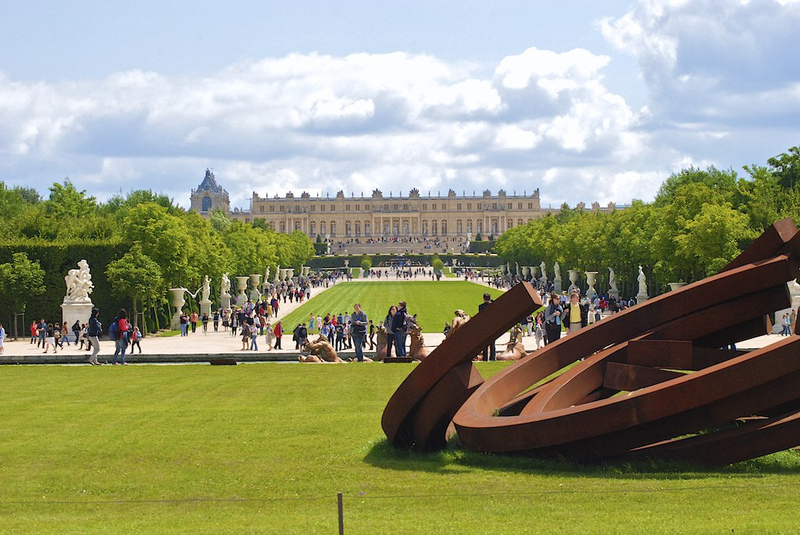 And art lovers will be spoilt for choice – yes, the art scene is great outside the Louvre too (think Centre Pompidou, Musée d’Orsay)! Architecture enthusiasts have countless churches, chapels and basilicas to explore. And let’s not forget our shopaholics, wine lovers and foodies. Whether you’re traveling solo, with friends or as a family – there’s something for everyone to love in Paris! 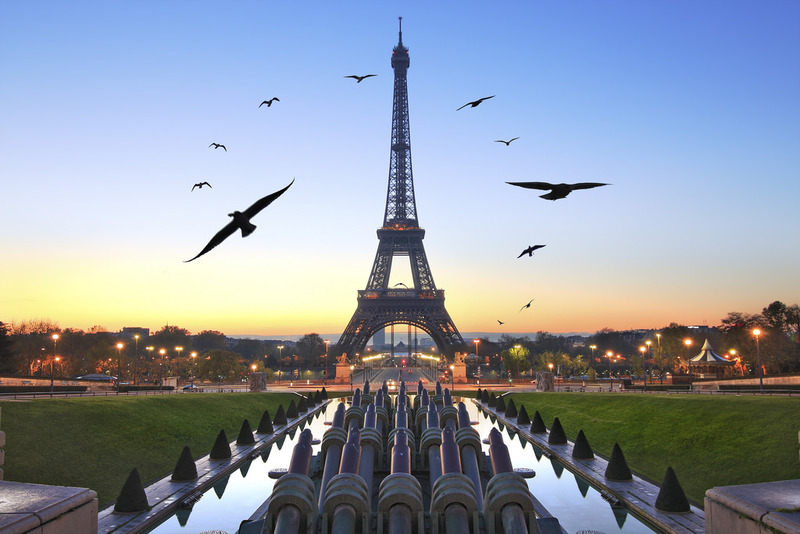 Paris has a host of iconic symbols that any traveler can instantly recognize. But none has been as controversial as the Eiffel Tower. 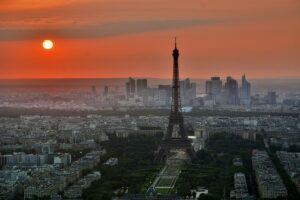 When it was first designed and constructed for the 1889 Exposition Univervelle (World Fair), the Eiffel Tower was hated by virtually everyone in France – and was even almost demolished! Thankfully, it stuck around and today it is definitely one of the best places to visit in Paris. The landmark is popularly visited by travelers from all over the world year-round so expect some waiting lines. To avoid long queues, purchase your tickets online. If you don’t want to shell out the big bucks to get the view from the top, the patch of perfectly manicured green around it is free! The Notre-Dame de Paris would be just another beaten down church if it weren’t for Victor Hugo’s classic novel of the same name (which was later adapted into a Disney movie cherished by all children of the 90s). Construction of the massive structure began as early as 1163, but the work was only completed some 200 years later in 1345. 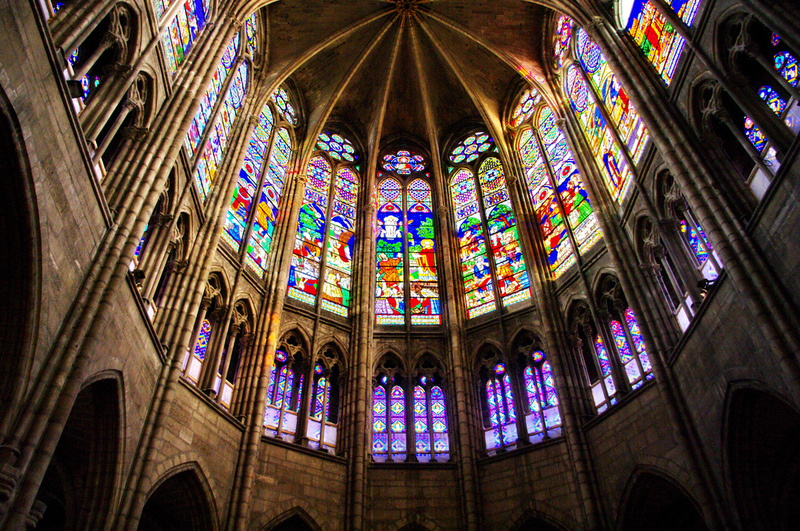 Over time, the stunning Notre-Dame became neglected until it was in a deplorable state during the French Revolution. 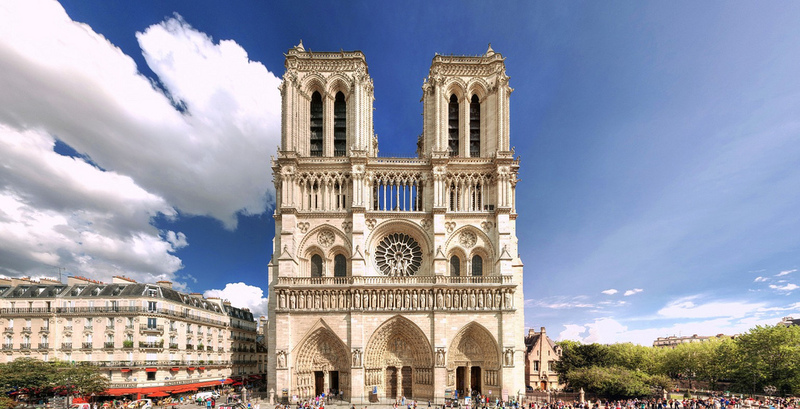 Since then, and in large part due to Victor Hugo’s successful novel, constant restauration work has kept the Notre-Dame de Paris in gleaming condition, securing its spot as one of the best places to visit in Paris. 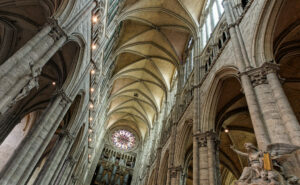 Entrance to the cathedral is free but you can purchase a ticket to climb to the top and enjoy a gorgeous view of Paris. 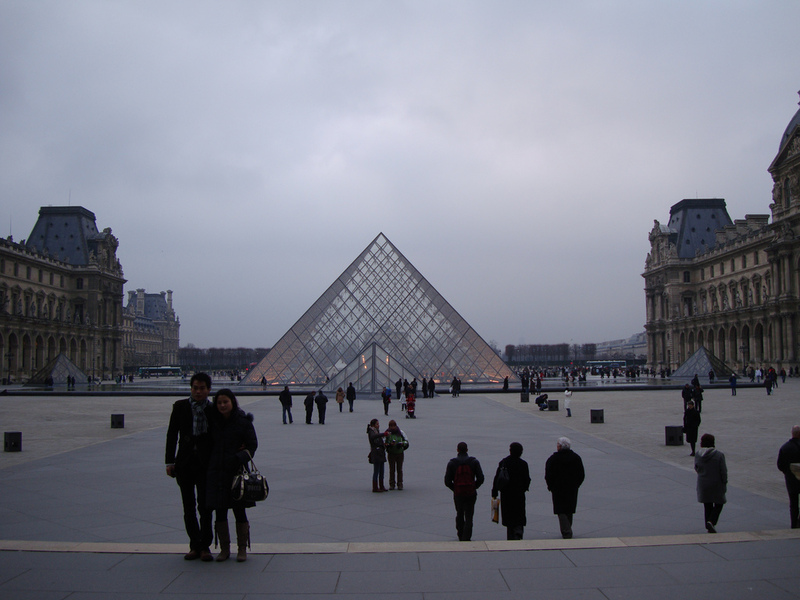 No art museum on Earth is as infamous as the Louvre in Paris. The fort-turned-palace is today the world’s largest art museum and one of the best places to visit in Paris. The highlights are definitely the trio of the greats: Mona Lisa, Venus de Milo, and the headless Winged Victory of Samothrace. Be prepared to spend quite some time here – the seemingly endless string of rooms displays over 35,000 pieces of art. Expect a fair amount of crowds too – especially around the Mona Lisa, all with their iPads and smartphones up to take a photo. If you visit on the first Sunday of the month between October and March, you can view the permanent collections for free! 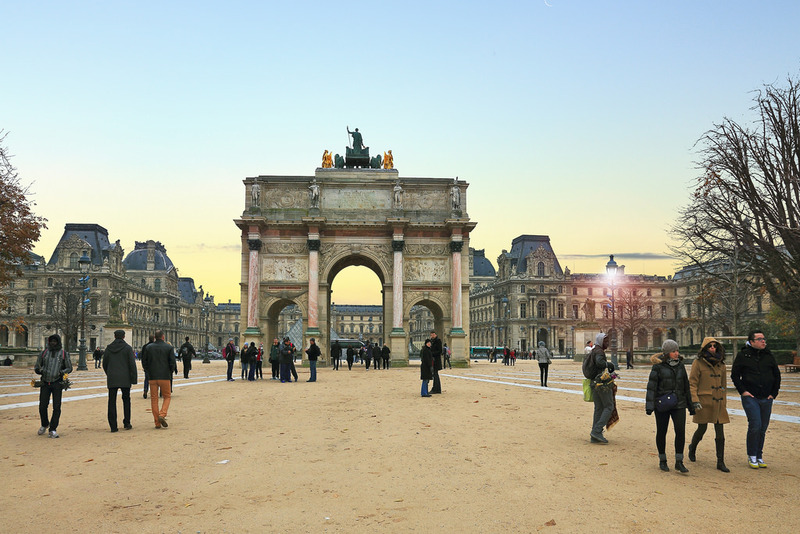 Commissioned by Emperor Napoléon in the early 19th century to celebrate his military prowess, the Arc de Triomphe towers over one end of the Champs-Elysées. Reaching an impressive height of 164 feet, its top deck is one of the best places to visit in Paris. Admire the arch’s intricate architectural details and then climb to the top to get the best Parisian panorama. And since you’ve just stopped by Arc de Triomphe, climb back down and stroll along the charming Avenue Champs-Elysées which starts right here. On this elegant and abroad avenue, you’ll find the world’s most exclusive brands and some excellent retails shops. 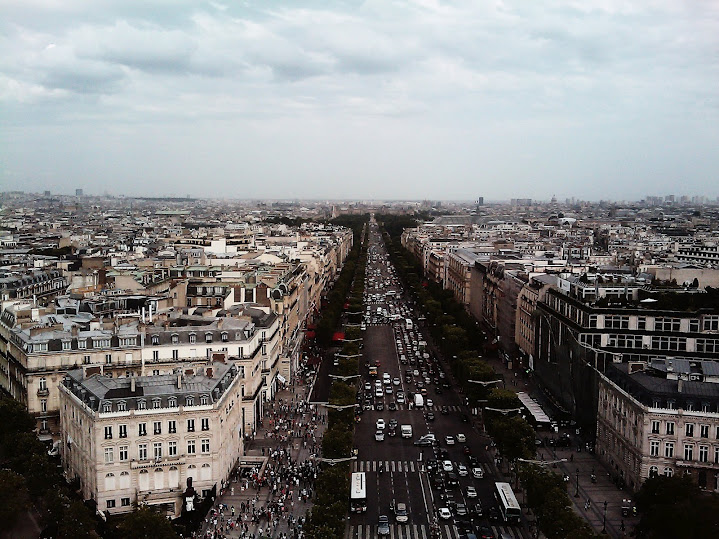 Champs-Elysées is the best place to visit in Paris if you’re in need of some retail therapy! 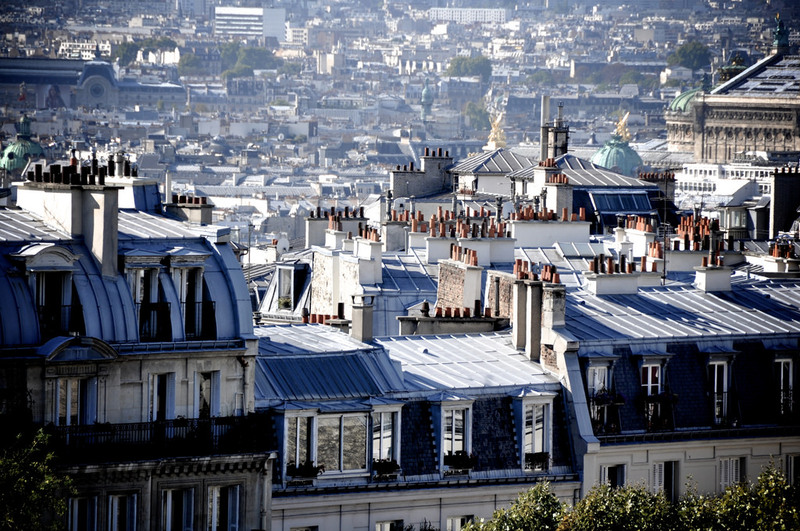 Perched on a hill above the city, Montmartre is one of the liveliest and most eclectic neighborhoods in Paris. 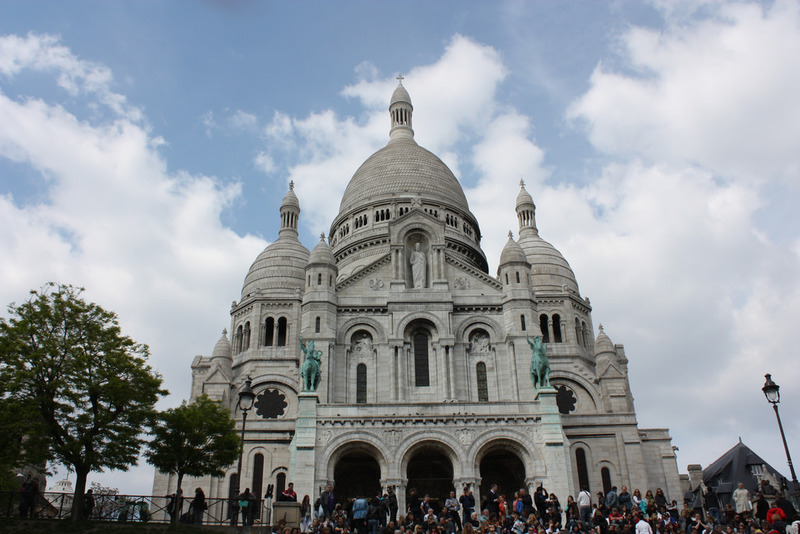 It is here that you will find the famed white-domed Sacré Coeur (see below) – but there’s so much more to Montmartre beyond that. Street artists showcase their unique work at Place du Tertre and Espace de Salvador Dalí showcases some of the artist’s greatest work. It’s no wonder Montmartre was once the hub of modern art. Masters such as Monet, Picasso and Van Gogh completed some of their best work here. Crowning the Montmartre district, the Sacré Coeur (which means “sacred heart”) is instantly recognized by any Parisian with its ivory domes. Just sitting on the steps of the basilica and taking in the view of the City of Lights is worthwhile. But you’ll want to head inside where ceilings glitter with gold, red and blue mosaics. And for the best view of them all, climb to the top of the dome! 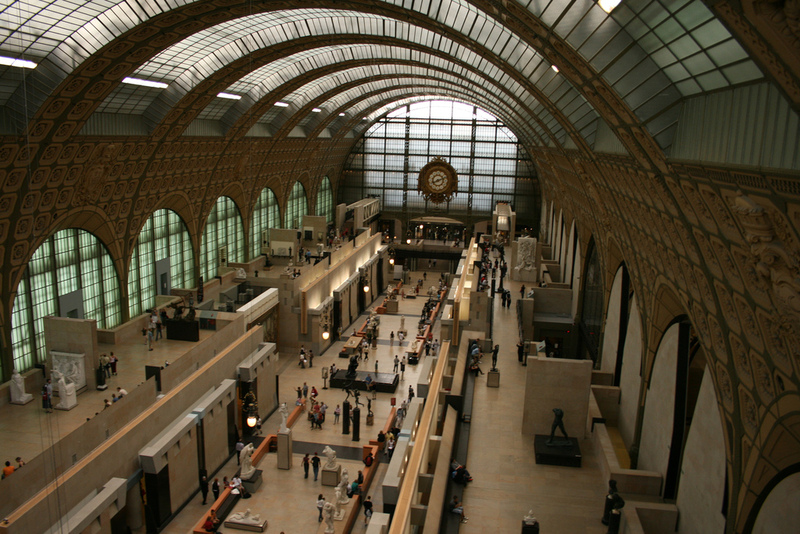 If you only have time for two art museums on your Paris itinerary, make it the Louvre and Musée d’Orsay. The latter is housed in an opulent former railway station designed in the elegant Belle Époque style. And it hosts a fantastic collection of artworks, including the world’s largest collection of Impressionist and post-Impressionist works. Artists like Monet, Degas and Van Gogh are on display here. 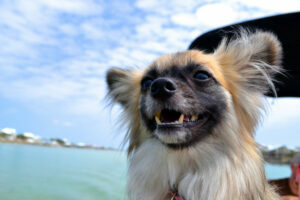 Admittance is free on the first Sunday of the month! 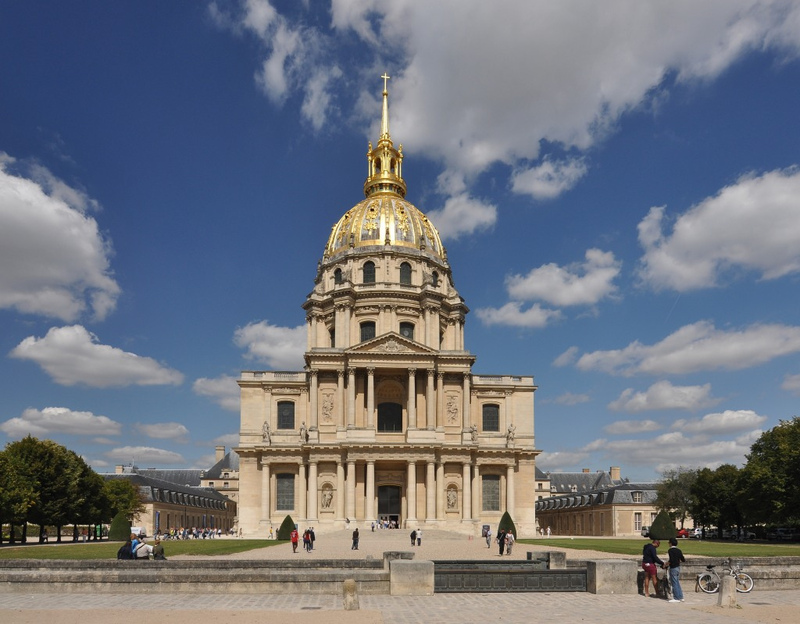 Constructed in the 17th century under Louis XIV as a hospital for war veterans, Les Invalides is today the largest complex of monuments in Paris. 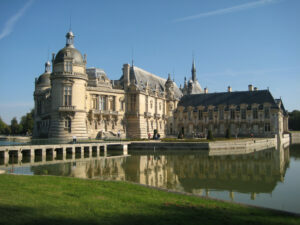 It houses a chapel, a church, the sumptuous tomb of Napoleón I and a military museum (Musée de l’Armée). Various types of tours operate at Les Invalides so you can choose to explore its historical, cultural or artistic aspects. 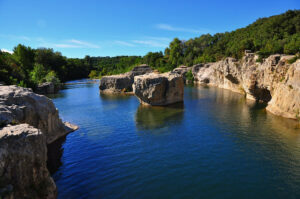 A tour dedicated solely to Napoléon is also available! Even if you’re not into weapons or military history, Les Invalides is one of the best places to visit in Paris. The complex is surrounded by beautiful gardens and is one of the city’s landmarks. 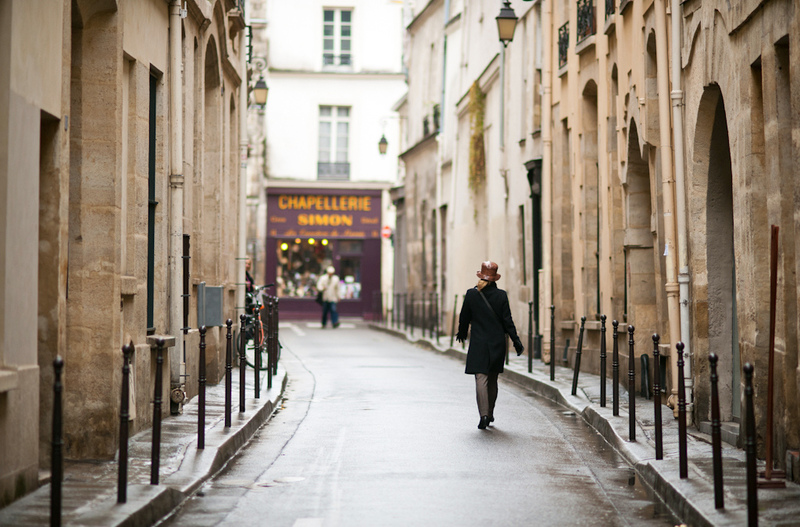 Another of the most iconic neighborhoods of Paris, Le Marais is the perfect way to spend a leisurely Sunday morning. This is one of Paris’s oldest districts and much of its draw today is due to the fact that it has been able to maintain its authentic charm. 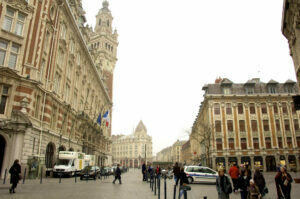 Walking along its narrow cobbled streets, you’ll feel like you’ve stepped back in time to Old-Word France. Discover the city’s Jewish heritage in the Jewish quarter and dance the night away at the many lively bars and clubs that line the streets. This architectural masterpiece officially opened to the public in 1875 and it has been wowing visitors ever since. Although it is undoubtedly the most notorious opera house in Paris, it’s actually the city’s 13th to have been built since the introduction of French opera by the infamous Louis XIV. The opera is open daily between 10am and 5pm so you can explore the opulent interiors at your own pace. (Or opt for a guided tour to learn all the best insider secrets!) In the evening, take a seat in one of the opera’s 1979 comfortable chairs to watch an exquisite dance or music performance. 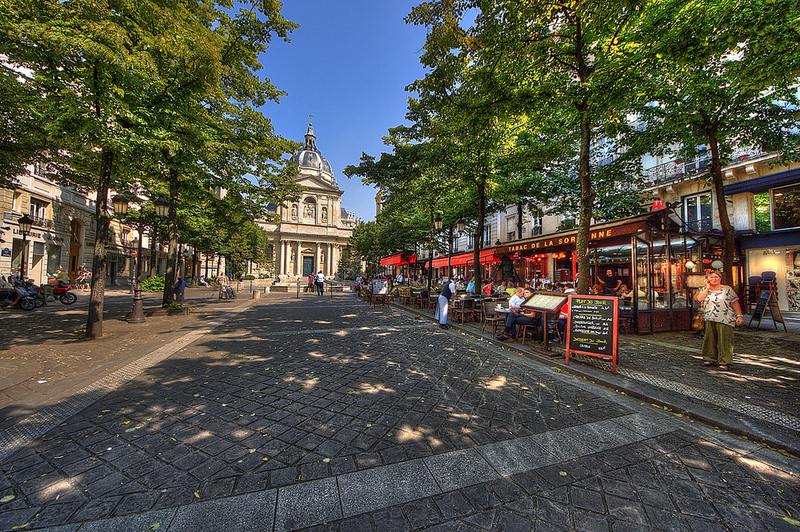 Located on the left bank of the Seine, the Latin Quarter is the city’s lively student hub. Wandering through its busy streets (and discovering those delicious bistros) is arguably the best way to spend your Parisian morning. You’ll find excellent places to visit in Paris here including the famous Sorbonne university (one of the oldest in Europe!) and the beautiful Jardin de Luxembourg which is filled with pretty ponds, statues and exotic trees. Cemeteries can be fascinating places – especially when they are the place of rest for ancient artists, musicians and political figures. 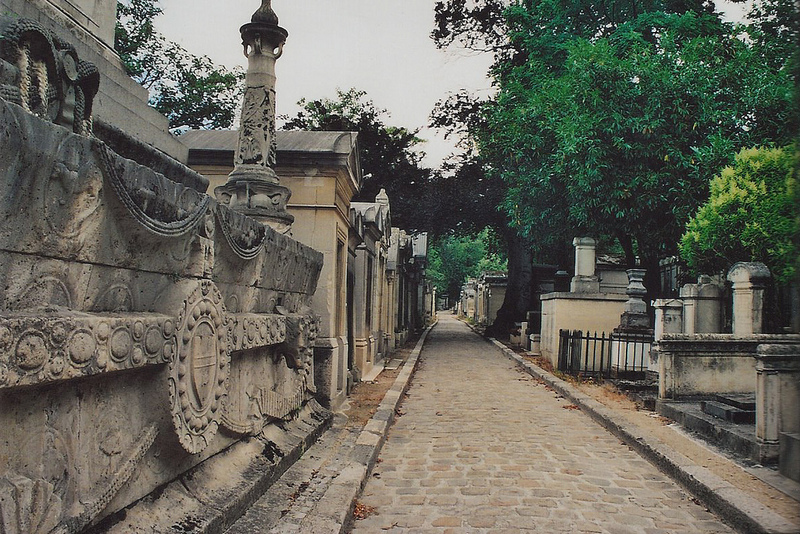 Cimitère du Père-Lachaise is undoubtedly one of such places and one of the best places to visit in Paris. If you’re looking to pay your respects to some of the world’s most famous people, these burial grounds are hard to beat. You’ll find everyone here from Molière to Balzac and Jim Morrison. 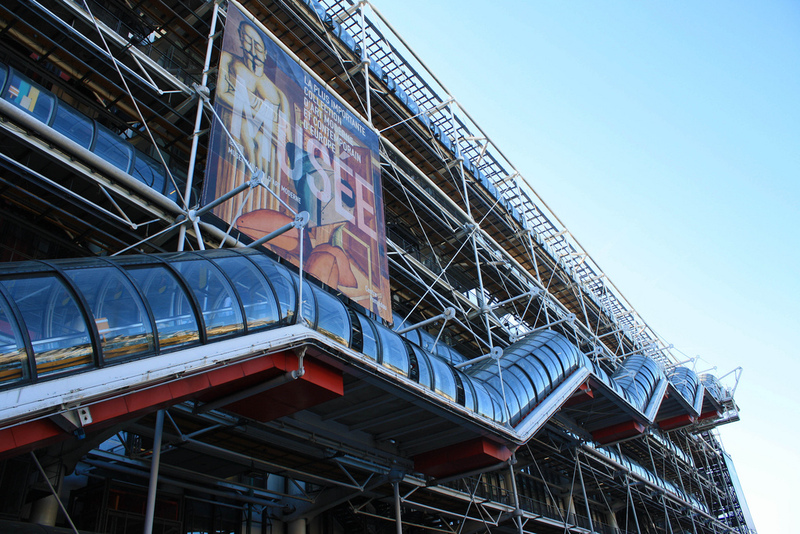 Modern art isn’t for everyone – and if it’s not your thing too, make sure to skip out on Centre Pompidou. But if you like your artworks to be cutting-edge, unconventional, and just plain out-there then Centre Pompidou is one of the best places to visit in Paris. This is where you’ll find the largest collection of modern art in Europe with work by such artistes as Matisse, Dalí and Pollock. Visit after 6pm to avoid long waiting lines and enjoy a refreshing cocktail on the rooftop bar. Paris isn’t just about the romance. 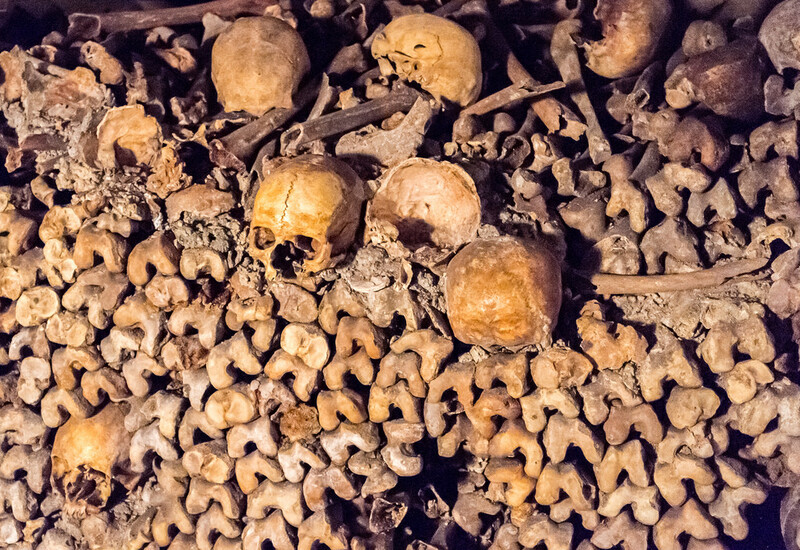 So if you’re looking for a fascinating, if not a little unusual, experience in Paris, there’s no better place to check out than the city’s catacombs. Officially opened in the late 18th century due to a shortage of space in the existing cemeteries of the time, the catacombs today contain the bones of over 6 million bodies. Located right beneath the heart of the City of Love, the haunting underground catacombs are open to visitors for guided tours Tuesdays through Sundays. Make sure to wear sturdy footwear – and leave your claustrophobia at the door! Enough talk about bones and skeletons. Let’s get back to what Paris does best: art. Sure, there’s the Louvre and Musée d’Orsay. But those places are crowded, noisy and will oftentimes leave you restless. They’re worth it for the famous artworks on display. 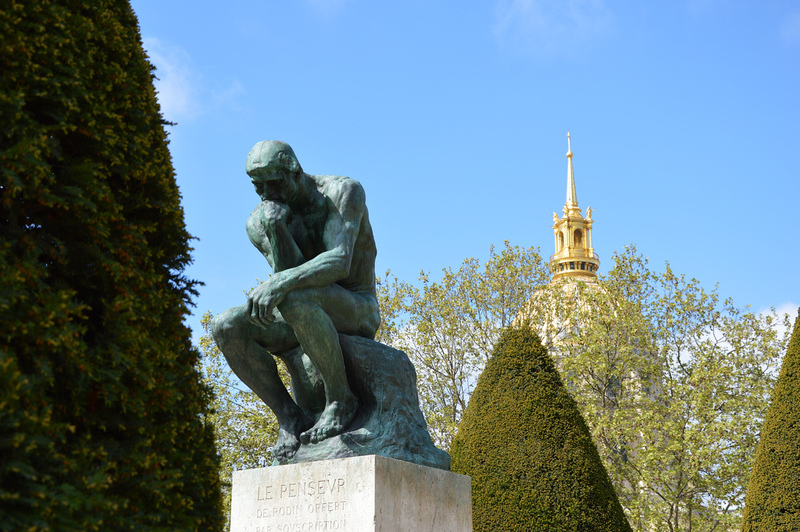 But if you’re looking for a more serene place to admire beautiful masterpieces, than Musée Rodin is one of the best places to visit in Paris. Housed in the sculptor’s former home, you’ll find his best works here from The Thinker to The Kiss and The Hand of God. The surrounding English gardens are the perfect spot for a leisurely stroll. The best things come in small packages – isn’t that what they say? Well, it’s true about Sainte Chapelle! This small Gothic chapel located in the heart Paris was originally intended to house precious Christian relics, including Christ’s crown of thorns. 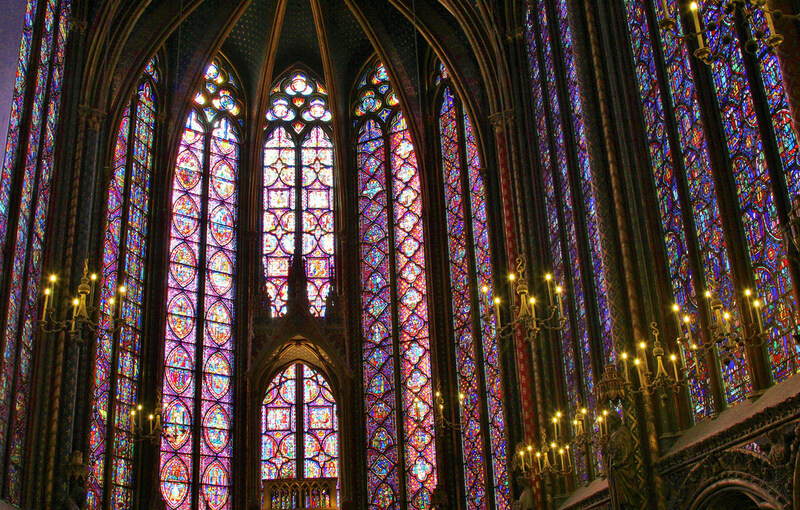 Today, the relics are stored in the Treasury at Notre Dame but Sainte Chapelle is one of the best places to visit in Paris for its 15 floor-to-ceiling stained glass windows. 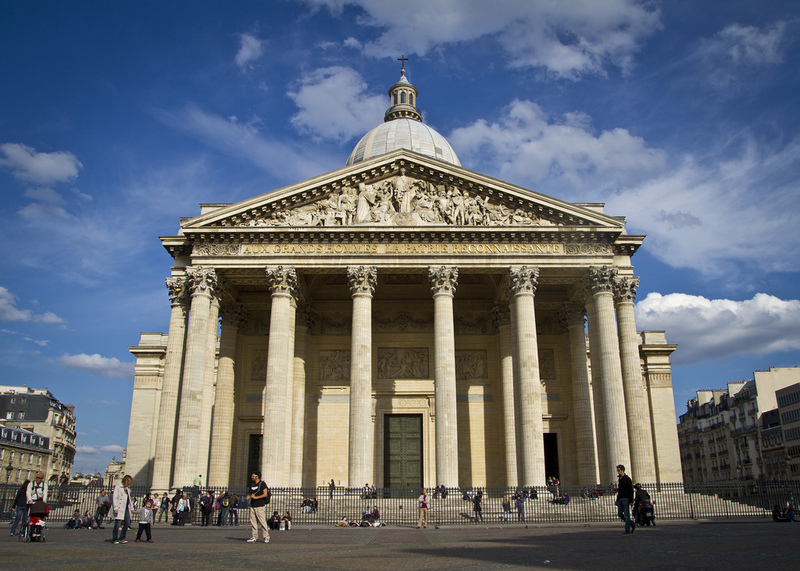 Located on the left bank of the river Seine, the Panthéon is one of the most impressive buildings in Paris. Its spectacular dome stands out in the cityscape and its magnificent architecture immediately draws you in. What was once a church is now a mausoleum, housing the graves of some of the most important figures of French history including Voltaire, Alexandre Dumas, and Jean-Jacques Rousseau). Guided tours are available and last approximately 45 minutes. It seems like there’s a museum for just about everyone in Paris – and the Musée de Cluny is no exception. History buffs will love discovering this hidden gem in the city to travel back in time to the Middle Ages. Fascinating exhibits include Roman statues, gothic sculptures, one-of-a-kind tapestries, and a number of other relics from Ancient Rome. And the building itself is also a piece of history: Musée de Cluny is located on the remnants of an ancient Roman city which would later become Paris. It’s not hard to see why this is one of the best places to visit in Paris! The main reason why this is one of the best places to visit in Paris is simple: this is the final resting place of the kings and queens of France – 43 kings, 32 queens and 10 servants to be exact. Built on the grave of St. Denis (a Parisian bishop who died in 250 AD), the basilica is today also features one of the city’s most fascinating collections of sculptures. 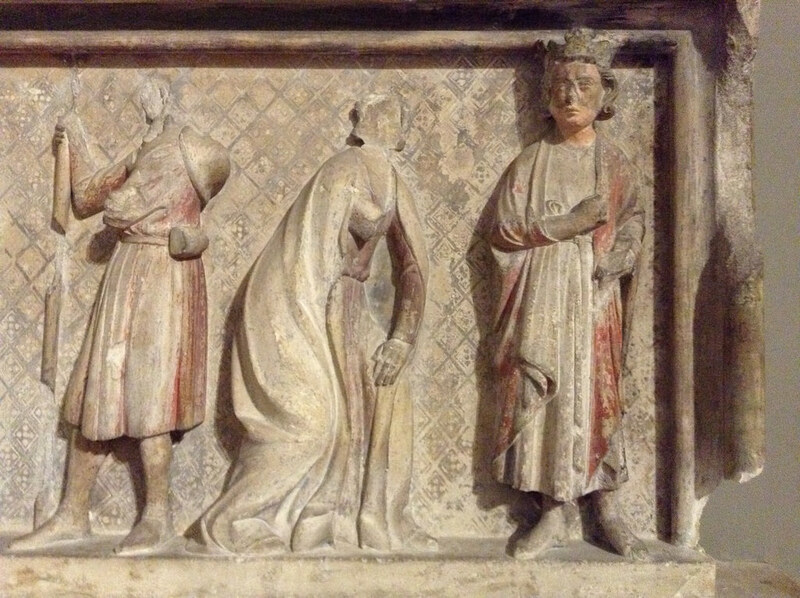 Over 70 statues and tombs from the Renaissance can be found here. 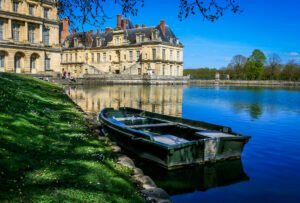 This picturesque French château can be found near the banks of the river Seine. It has become an interesting monument because it served as Napoleon’s final residence in France, at the end of the Hundred Days in 1815. 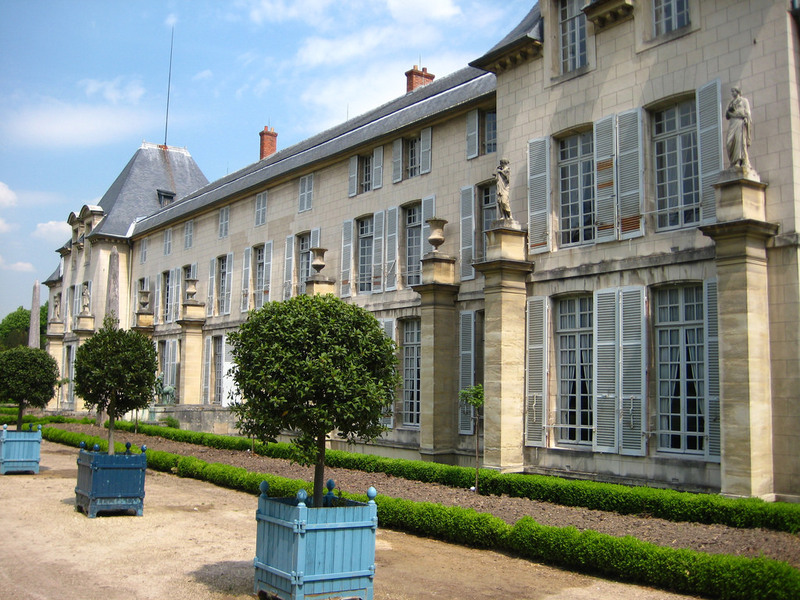 Today, the château houses a Napoleonic museum dedicated to its most infamous resident. Visitors can walk through the various rooms, all furnished in era-appropriate décor, to step back into a time of French Imperialism. Just next to the magnificent Sainte-Chapelle, you’ll find the Conciergerie – an ancient medieval fortress turned into political prison. While the site was originally used as a royal residence, it then became a part of the Judicial Palace only to be transformed into a prison by the 14th century. Its haunting notoriety dates back to the French Revolution, a time when the Conciergerie became the headquarters of the ominous Revolutionary Tribunal which sent thousands of prisoners to the guillotine. Some of its most famous prisoners include King Henri IV, revolutionary Robespierre and the infamous Queen Marie Antoinette. It’s not too difficult to notice Place de la Concorde – its Egyptian obelisk practically towers over the city at 75 feet tall. The square is one of Paris’s most infamous as the site of many bloody executions. The original Place (named Place Louis XV) saw its first execution in 1793 of King Louis XVI but it was during the French Revolution that the square gained its ominous reputation. At this time, the statue of King Louis XV which stood at the center of the square was torn down and replaced with a guillotine. The square became known as Place de la Revolution. Thousands of France’s elite were executed here, including Marie Antoinette. 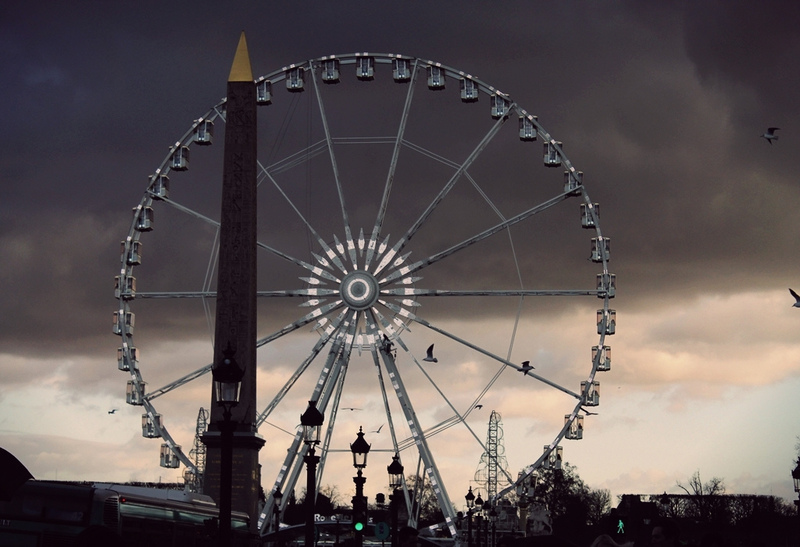 Today, Place de la Concorde is just one more of Paris’s fascinating historical sites. You’ll be walking around the city plenty to get through all of the best places to visit in Paris. 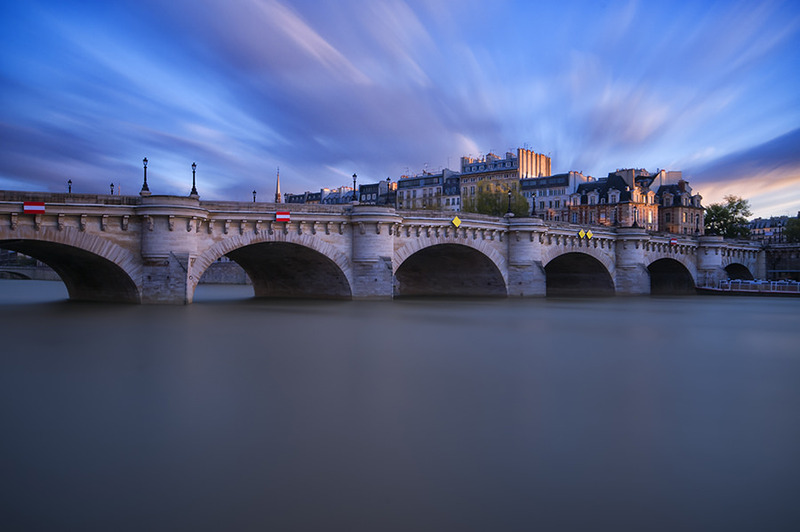 Make sure to walk along Pont Neuf too! This is the oldest bridge in the city, dating back to the 16th century. There’s no better place to get a beautiful view of Paris and the Seine! Right, this one isn’t exactly in Paris. But it’s a short day trip away, and so worth the visit! 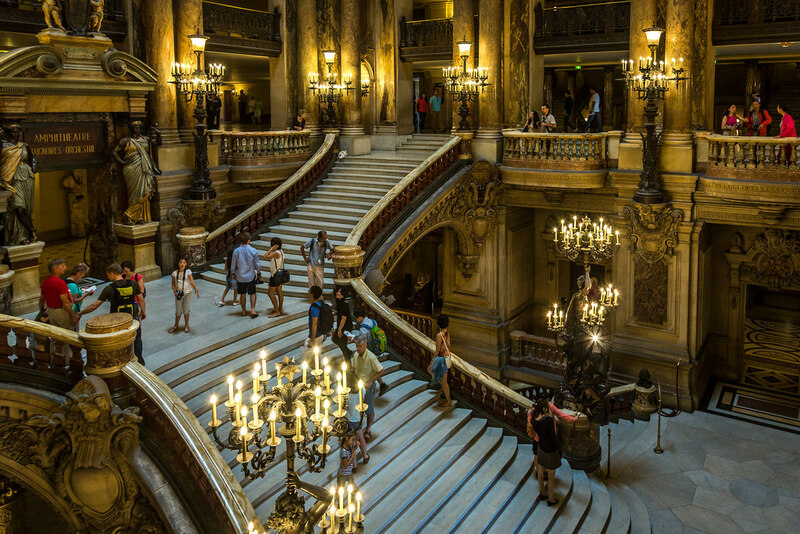 The opulent palace is arguably one of the most iconic sights of Paris. Built in the 17th century as a symbol of military power, Versailles quickly became the seat of France’s political power in the 17th and 18th centuries. Wear comfortable shoes and come early to get the most out of your visit!